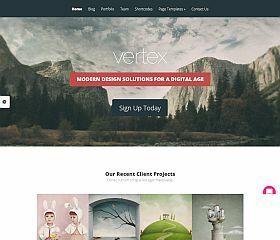 Vertex prominently features the parallax design elements you are looking for while maintaining a trendy flat-style design that has been optimized for speed and navigation. In addition to the parallax feature, it also includes a variety of features that allow you to create nearly any type of website you might want and include: testimonials section/area, progress and skill bars, portfolio section, and content sliders for driving visitors deeper into your site. Parallax delivers a modern design that would fit for a variety of different websites or topics. The single page design allows you to place all of your content front and center for your visitors, and includes features like: responsive design, built-in custom post types, customization options, and extra touches like infinite scroll – give you a site that is as accommodating as it is beautiful. 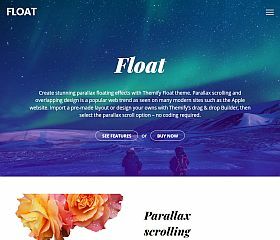 Float features WooCommerce support, social sharing integrated into the design, parallax blog and page elements, multiple templates and layouts to choose from, and a powerful theme options panel for customizing your blog or site – it is the ultimate parallax theme for WordPress. 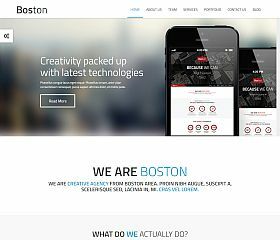 Boston is a parallax-style WordPress theme for corporate or business websites. The bold and striking imagery and layout would make it ideal for thousands of different businesses, while real estate companies, creative agencies, and modern professionals (lawyers, consulting groups, etc.) will find that it can mesh perfectly with the products and services they offer. 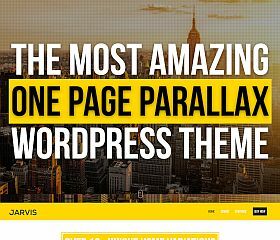 Jarvis is the ultimate single page parallax theme for WordPress, and the top-selling of its kind on ThemeForest with more than 11,000 sales to date. Whether you’re wanting a professional site for your business, a personal blog, creative portfolio, or just about any other type of website – you will find that this theme can conform and adapt to nearly any style of website, blog, or topic. Taking the web design community by storm, parallax-style design and elements have become one of the most popular web development techniques to surface in recent years. 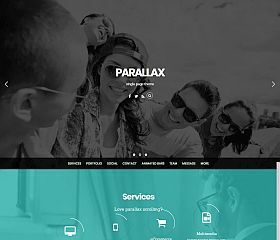 Not just left to the large brands and creative agencies, a multitude of parallax WordPress themes have sprung up lately – allowing any type of business or topic field the ability to incorporate the cool design effect into their website. 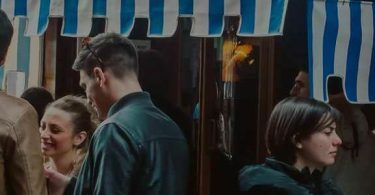 Those of you unfamiliar with the style, it is basically a way of forcing a viewer’s perspective (through a combination of different design techniques) to see images that appear to either stand still or move as a user scrolls through the site. It’s a technique that has gained a lot of attention recently, and the trend shows no signs of slowing down. 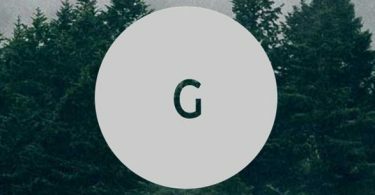 Here, you will find a hand-picked selection of some of the very best parallax themes (both free and premium) for you to download, check out, and enjoy!